We offer our services on a 'trial' basis. No long-term commitment or obligation is required. Our Company is bonded and insured. Policy is available on request. Detex clocks are installed and placed upon the client's request. 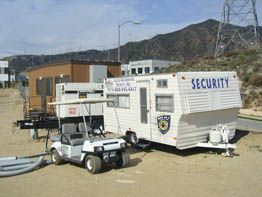 Security vehicle, bicycle or golf cart will be provided at the request of the client to cover large property/areas. The need for on-site security is especially sensible in and around construction sites regardless of the size of the job. Laying a good foundation for security is essential for success just like laying a good foundation for a building. Every construction site has sub-contractors from many disciplines, which means valuable equipment is left out in the open to tempt the experienced and amateur criminal alike. Generally, each sub-contractor is held accountable for his/her own equipment, but that doesn't always relieve the general contractor from responsibility and sometimes penalty.Properly planned and implemented security can deter most internal and external thieves. Expertly trained security officers are the best and most professional workforce to utilize in these cases. Security now can be a huge payoff later! 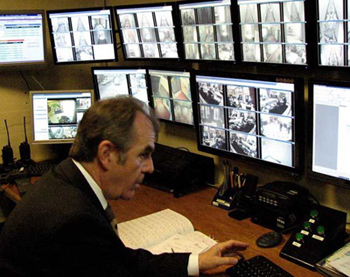 American Assured Security offers you up to 24/7 security coverage at a low cost per hour rate. American Assured Security professional well-trained security personnel are perfect for posts that require a great deal of client and public interaction. Our security guards are warm and polite and will enhance the image of your management and reduce the number of incidents and complaints. 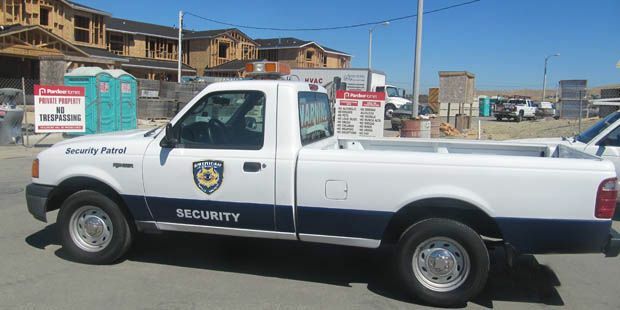 Your tenants will feel safer with our professional security personnel patrolling their complex. We aim to find permanent long-term personnel for our private communities clients because we find the residents like to get to know the security personnel. The residents feel more at ease with a security guard present. American Assured Security recognizes the importance of managing parking at gated communities and multi-unit apartments. We provide professional personnel to monitor and direct your limited parking areas. From simple monitoring to active vehicle towing we have the right personnel for your property. TThe purpose of any security program is to protect life and property through recognizing threats to security and safety and through prevention of the problems resulting from these threats. Some say the only way to secure a building completely is to get all the people out, lock the doors, board up the windows, and post heavily armed guards at all corners. However, a building is built to be used and the activities that go on inside it represent the livelihoods of a lot of people. 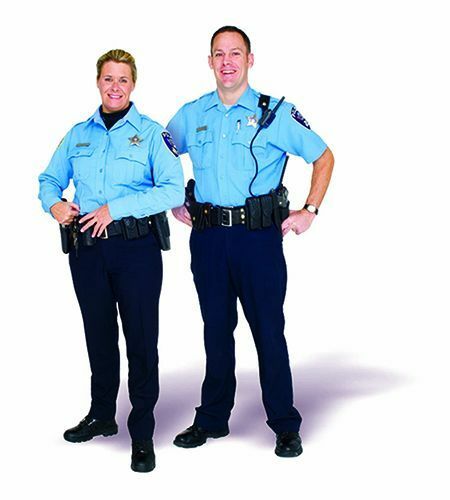 Along with providing uniformed security personnel, American Assured Security provides an assortment of full-service security programs. Are you a Hospital Administrator? Are you seeking the service of highly trained security guards? If so, then you have selected the right company for your premises. Since your safety is a top concern to us, our security officers will guard your hospital around the clock. Hospital security is a priority concern, and American Assured Security is ready to solve the problem. A warehouse is designed for ease of access and loading and unloading of materials which create a security issue. Vandalism and theft are two of the major security risks to storage and distribution facilities because of their isolated location. Our Security Guards at American Assured Security will protect your assets and property from vandalism and theft. When deciding on the security measure for your premises, consider safety by utilizing a security guard. The value of your materials and machinery are too costly to leave without security. American Assured Security provides warehouse security services throughout Southern California. When it comes to protecting your warehouse, American Assured Security officers are at the top of their class. How many hats can your facilities or accounting or maintenance or operations manager wear? Your company needs direction in the operation of a security function, whatever the level may be. Unfortunately, the company's size or revenues do not warrant the employment of a full-time security person. American Assured Security provide this function under a long term or short term contractual arrangement. American Assured Security is the perfect answer for the client with multiple responsibilities and no budget to hire a security manager! If you are the personnel or plant manager, head engineer or executive AND must also handle the security function for your facility. American Assured Security is available to be your Contracted Security Manager. We will go over your security/safety problems and then find and provide the solutions for you. We cover all of Northern California, including, San Jose, San Francisco, Alameda, Castro Valley, Concord, Cupertino, Fremont, Gilroy, Hayward, Livermore, Los Altos, Los Gatos, Milpitas, Monterey, Morgan Hill, Mountain View, Oakland, Palo Alto, Pleasanton, Saratoga, San Mateo, Santa Clara, Santa Cruz, Union City, Berkeley and Sunnyvale and most of the surrounding cities.